Rainforest in the Samlout district in NW Cambodia underwent rapid rates of clearing for cash cropping at the end of the civil war. 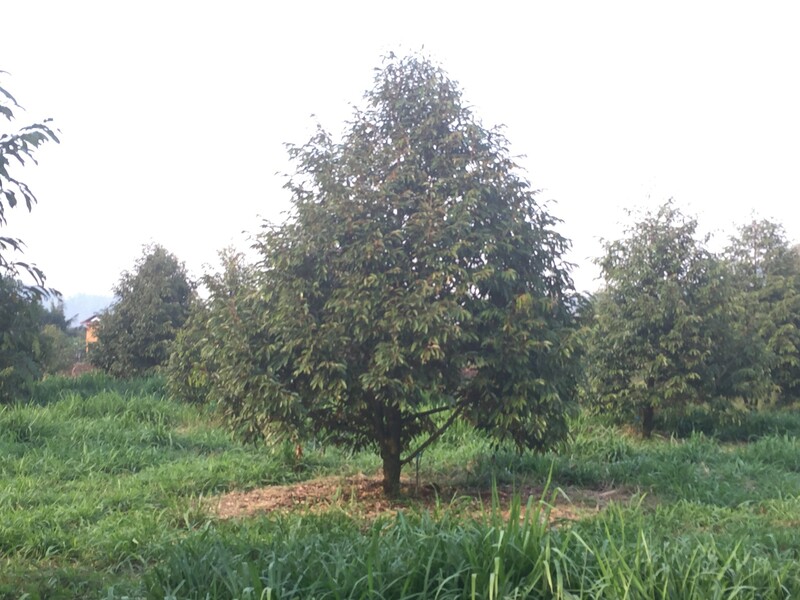 More recently, fruit-tree cropping has expanded in the district. 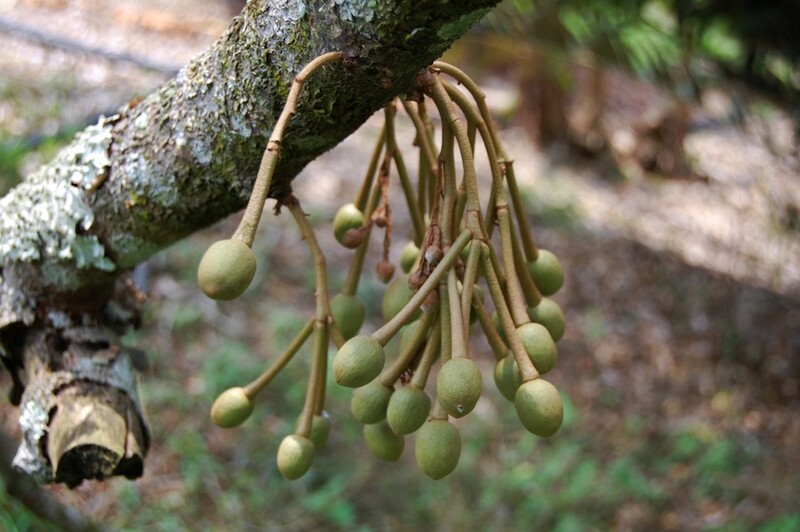 These fruits mostly consist of longan and durian, and there is strong demand from both the domestic and Thai markets. 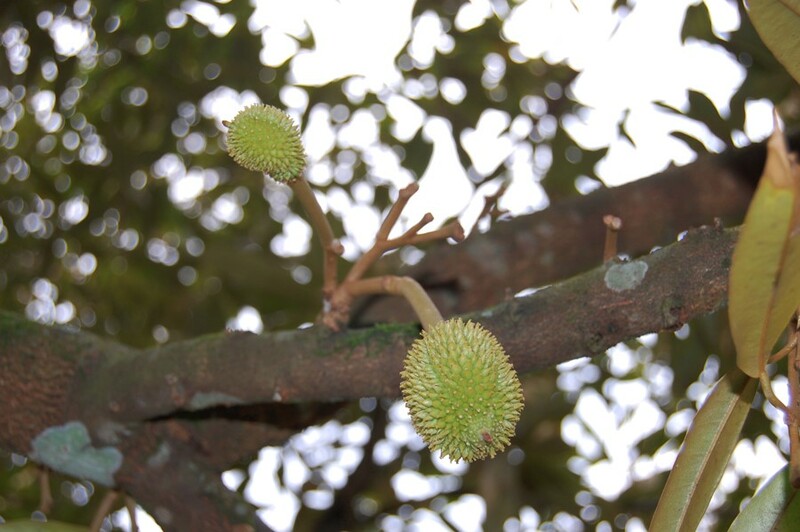 But, in 2014, mature durian trees developed dieback and many were lost. Since there is no government extension support in the area, the farmers rely on each other, input suppliers and NGOs to solve such problems in their orchards. The Crawford Fund supported a disease management workshop run by Professor David Guest (Faculty of Agriculture and Environment, The University of Sydney), Associate Professor Somsiri Sangchote (Postharvest and Seed Pathology Laboratory Faculty of the Agriculture Kasetsart University, Bangkok) and Dr Bob Martin (Agricultural Systems Research, Cambodia). The workshop was designed to equip local extension workers and farmer cooperatives with a wide variety of durian management skills. 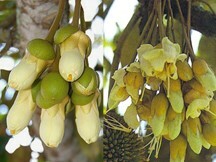 It included training in nursery and orchard management, disease symptom recognition and pathogen diagnosis, basic laboratory techniques, and treatment methods for infected trees. The three-day workshop was held at the Maddox Jolie-Pitt Foundation (MJP) Field Headquarters in the Samlout District, Cambodia, in February this year. It combined participatory activities and field visits, with presentations and discussions. Most of the 30 participants were farmers and included four women. 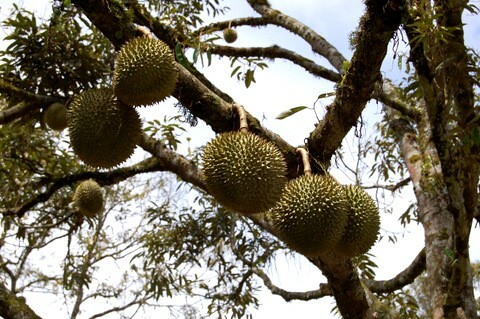 They rated their knowledge of durian management diseases at the start of the workshop as ‘below average’, and this had increased to ‘very good’ by the end of the three days. Extension recommendations were also discussed and drafted. “A leaflet in Khmer was designed for printing and distribution to farmers, extension agents and input sellers,” said Professor Guest. “We also prepared a crop management calendar. 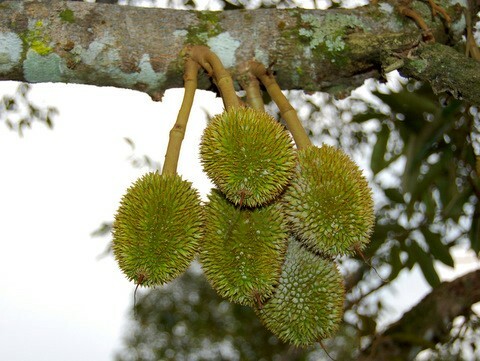 This is the first time recommendations have been prepared for Cambodian durian farmers,” he said.